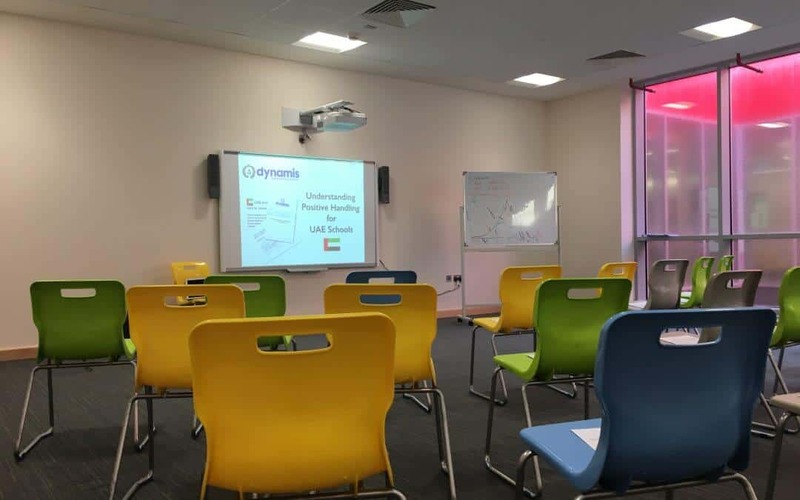 Gerard just returned from an extended trip to the UAE where Dynamis trained approximately 150 staff in both Abu Dhabi and Dubai institutions in our approach to Positive Handling which was tailored to the UAE environment, based on our almost 10-year training history in the emirates. 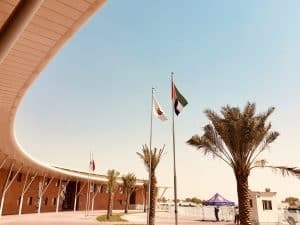 Schools came from outlying areas such as Ruwais, Ras al Khaima, Al Ain and so on to benefit from the training, in addition to the many staff from Dubai and Abu Dhabi! Having specifically developed advice based on UAE labor law, the UAE penal code relating to use of force and the requirements laid down by ADEC for private schools, we developed an online training resource in order to “flip the classroom” and maximise an in-person visit to train the staff in-person on our innovative and fresh Positive Handling tactics and decision-making matrix. 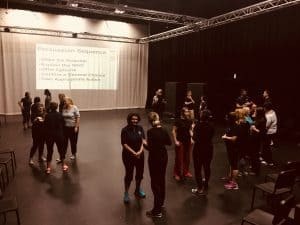 Overlaid on top of these tactics were recommended verbalisation strategies which seek to capitalise on the experienced teachers’ own unconscious competencies and make honed-tools out of their learned strategies. 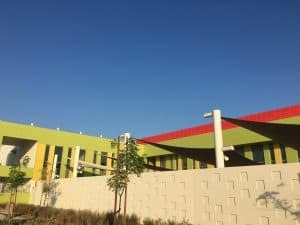 The project was a great success and we have made the first positive steps towards professionalising this practice in the UAE school systems. We not only talked tactics but indeed are learning much about how Arab virtues and ethics, mixed with the socio-cultural milieu present in the family background-music in the UAE all drive certain behaviours and how schools can leverage these powerful forces in creating safe and secure learning environments. Further to this, in such a young and developing place such as the UAE, policy development and best-practice advice was a hot topic for many of the attendees.